This camera comparison guide looks at the Nikon D850 vs. Nikon Z6 and the things that set them apart. One is a DSLR and the other a mirrorless model, but that’s not enough to distinguish them. Camera qualities are subjective to photographers and photography styles. What meets the needs of one is not the same for another. That’s why it’s so important to compare and scrutinize. Keep reading to see if the Nikon D850 or the Nikon Z6 check your boxes. The list below highlights the sections used to break down their similarities and distinctions. 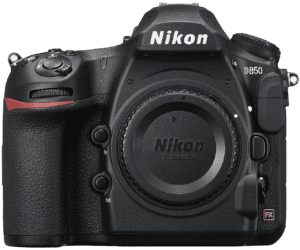 Why Consider the Nikon D850 over the Nikon Z6? Why Consider the Nikon Z6 over the Nikon D850? Many shared features unite the Nikon D850 and Nikon Z6. They both have full frame CMOS sensors, for one. On the connectivity front, there’s WiFi, Bluetooth, and smartphone remote control. Weather-sealed bodies are a sought-after feature that’s built-in with both cameras. Protection from splashes and dirt is a blessing for outdoor photographers. The external flash shoes on each model are standard for most digital cameras. Their shared microphone and headphone ports, though, are less typical and invaluable for videographers. Nikon’s D850 and Z6 share similar viewing options, too. The D850 has an optical viewfinder and the Z6 an electronic type. They both make light work of composure and control. Each camera sports a large 3.2-inch articulating touchscreen. Adjustable screens are vital when it comes to shooting at flexible and awkward angles. Touchscreens also provide faster, easier control. Viewing and changing camera settings from above is painless with their top-mounted LCD panels. Photographers find top LCDs especially handy when working with tripods or low down. Shooting RAW is another feature both cameras have. RAW support is especially popular at the enthusiast and professional camera levels. RAW files give artists much greater post- monitor editing control. Face Detection Focusing is a time-saving feature for working pros who do lots of portraiture. The Nikon D850 and Z6 also have a time-lapse recording option that’s highly popular these days. AE Bracketing—also Auto Exposure Bracketing (AEB)—is the last shared feature. This option works by taking multiple shots at different exposures. AEB is a huge benefit when shooting in challenging light. Some photographers view heavy cameras as an uncomfortable burden, and they are that. But too light hears complaints of cheapness and inferior quality. It’s a balancing act for the makers. Mirrorless cameras should be light, and it’s one of their key attractions. Still, the lighter weight here is not the result of low-grade plastics and cost-cutting. It’s the absence of mirrors and smaller bodies. These quality cameras have DSLR and mirrorless bodies with notable distinctions. The size difference is obvious when you view them side by side from the front. The Nikon Z 6 is smaller by 25% and lighter by 33%. The dimensions, weight, and ergonomics of any camera are often significant buying considerations for photographers. Some women and men with smaller hands may find the D850 too bulky to hold and awkward to use. Likewise, folks with large hands and big fingers may find the Nikon Z6 equally problematic. Seasoned photographers know what works for them and what doesn’t. Novice users—or those coming from compacts—should think carefully about bodies, control layout, and handling. Both cameras have environmental sealing. That’s worth mention as many models don’t provide any weather protection. The downside to a weather-sealed body is that it adds to the weight. The shapes, contours, and layout of physical buttons and dials are unique to each model. Nikon Z6 Width: 5.3” Height: 4.0” Depth: 2.6” Weight: 23.8 oz. A camera’s total weight should also include the mounted lens. Both these cameras have full-frame sensors. That means native Z6 or D850 lenses are comparable in weight and size. However, Nikon’s D850 doesn’t have built-in stabilization. Those who want that must invest in NIKKOR Vibration Reduction (VR) lenses. Alas, they cost more and are heavier than the non-VR alternatives. Nikon officially announced its D850 Digital-SLR on July 25, 2017. That date also happens to be the company’s 100th anniversary of its founding. So, are you a mirrorless camera owner who’s considering the switch to a quality DSLR? Or, perhaps it’s the other way around? Keep reading to explore why Nikon’s D850 could be the right choice. Let’s start with sensor resolution. The D850 has a 46-megapixel sensor to the Z6’s 25-megapixel. That’s 84% more pixels in percentage terms. The D850’s LCD screen also has a higher resolution. The numbers are 2.359k dots vs. 2.100k dots on the Z6—a difference of 12%. That gives it a slightly clearer screen, especially close up. Nikon’s D850 also sports a flash sync port. The port allows photographers to connect various off-camera flash units. This kind of creative lighting can be especially helpful for studio-controlled shoots. Never underestimate the potential value of illuminated buttons. The D850’s ‘subtle’ lit buttons are priceless when photographing in the dark. For example, during shoots when you need to be invisible. Another advantage this DSLR has over the Mirrorless Z6 is its two card image storage slots. The D850 also supports UHS Memory Cards so that it can read/write data at ultra-high speeds. Battery life is always an issue with digital cameras, but the D850 wins easily here. It averages around 1840 shots on a single charge to the Z6’s 330 shots. That’s a difference of 1510 frames. Near-Field Communication (NFC) is something else the D850 has that the Z6 lacks. NFC can be a convenient feature. It provides contactless interaction between compatible devices at close range. Autofocus at f/8 aperture is sure to appeal to some photographers. It’s a technology that offers increased autofocus (AF) sensitivity. The AF can work when using 1.4x or 1.7x teleconverters. Focus Bracketing is another plus point for the Nikon D850. It taking multiple shots at different focus distances. 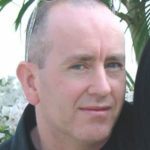 The aim is to increase the depth of field (DOF) in the final photos. Last on the Nikon D850 considerations list is the 8K time-lapse mode. The quality of its time-lapse sequences created from individual images is just stunning. OK, that sums up the main advantages of Nikon’s pro-level DSLR, but it’s not a done deal. There are a few significant reasons why the its Z6 may be the better camera—for YOU. Nikon announced the Z6 on August 23, 2018, and released it for sale in November the same year. It’s the company’s newest full-frame mirrorless camera with interchangeable lenses. This section looks at the reasons to consider Nikon’s Z 6 over the D850 DSLR. The camera has fewer advantages when pit against the D850. Still, a few of these are sure to be decision breakers for some. The cost saving is no small detail. 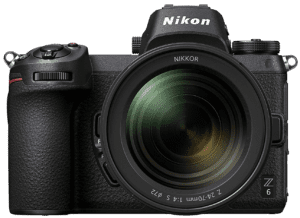 The Nikon Z 6 costs around $1300 less than the D850 at the time of writing this guide. The price tag alone is reason enough for some photographers. One of the main lures of high-end or budget mirrorless cameras is their lightweight, compact designs. The Nikon Z6 is much lighter than the Nikon D850, weighing just 23.80 ounces. That’s 12 ounces (340g) lighter. Another noticeable advantage is the Z6’s built-in image stabilization. It stabilizes all lenses mounted onto this camera. The Nikon D850 doesn’t have any in-body image stabilization. Photographers who demand speed love the Z6. It sports a super-fast 12fps (frames per second) continuous shooting mode. That’s a whole 7fps faster than the Nikon D850’s 5fps. At 35.25µm2 to 18.88µm2, Nikon’s Z 6 sensor pixel area is 86% larger than the D850. The mirrorless model also outshines the DSLR with its 100% higher maximum ISO—51.200 vs. 25.600. Nikon’s Z 6 has a total of 273 focus points. That’s 120 more than the D850’s 153. These are the most significant advantages the mirrorless Z6 has over the D850 Digital-SLR. There are few differences between these two cameras when it comes to shared weaknesses. The only one I could come up with was the missing built-in flash. No one likes the harsh, direct light of a popup flash. That said, most people would sooner have a built-in flash than not. After all, it’s instant, and that can mean the difference of capturing or losing a shot. No built-in flash also means you must carry—or keep mounted—an external flash unit. Both cameras are worthy all-around contenders for a photographer’s hard-earned buck. It seems that the Nikon D850 has the edge over the smaller Z6 going by the online reviews. One of the reasons is that the D850 has been around longer and earned its reputation. The Z6 is still finding its way and doesn’t have the same dedicated following—yet. The people over at Nikon must be rubbing their hands with glee when they read real user feedback. Phrases like “exceeds expectations,” “game-changer,” and similar comments are aplenty. Praise for the D850 is as close to perfect as it gets from reviewers. Most folks at this level know what to expect long before they receive the camera. That doesn’t stop them from reporting back, though. There’s shared approval for the remarkable image quality, especially its sharpness. Those familiar with Nikon cameras love the new location of its ISO button. Yes, small things can make big differences. Almost every D850 owner loves the responsive rear touchscreen display. It’s super bright and shows no signs of lag, say fans. The fast autofocus (AF) is another highlight owners like to point out. Almost every significant feature of the Nikon gets a big thumbs-up. The negatives are more related to observations or wishes than serious gripes. One of those is the camera’s heft. Users moan about the sheer bulk of Nikon’s D850, yet they also know it must be that way. It wouldn’t be the camera it is without its heft. Acceptance doesn’t make it easier to carry, though. Some fans would like to have seen focus peaking with the camera’s 4K video. There are plenty of individual gripes at the minor level, most of which are subjective. The most significant shared complaint, though, is the lack of sensor-based image stabilization. Some photographers buy the Z6 not knowing quite what to expect—unlike the D850 fans. The Nikon Z6 is the first full-frame mirrorless camera for many new owners. It’s made quite a splash too. Those familiar with the brand say it looks and feels 100% Nikon despite its smaller size. Reviewers praise the Z6 for its excellent build. They also enjoy its image quality, easy-to-use features, and handling. It’s always a good sign when fans post personal photos to back up their written reports. People talk of the ergonomic design and overall quality feel of the Z6. It’s especially noticeable for those used to the bigger, bulkier D-SLRs. It’s also a welcome change for many photographers. Other highlights include the Z6’s responsive touchscreen, video capabilities, and Fn customization. And the 12fps continuous shooting mode is a game changer for those who need that speed. Users appreciate the Z6’s fast data transfer. Many people also comment on its affordable price tag and the camera’s modern appeal. The Z6 does have its critics, and there are a few surprising complaints. For example, some moan that the camera is heavier than they thought. These critics most likely base the weight gripe on the camera they used before the Z6. Some would have liked more physical controls on the camera body. Most users protest about the shortish battery life, and that’s a more justified complaint. The reviews tend to be of mixed opinions, but they’re mostly favorable. The Z6 is still gaining reputation, so only time will tell how it truly fares among mirrorless fans. So, which is better, the Nikon D850 DSLR or the Nikon Z6 mirrorless? The missing part of that question is “for me.” The better camera isn’t merely about bells, whistles, and price tags. Either model is sure to please on image quality. If you need a workhorse with much longer battery life, then it’s the D850. It’s also stood the test of time and thus makes a more predictable choice. If cost, speed, light weight, and a compact design are priorities, the Nikon Z 6 is a surefire winner.